With Reliance Jio’s entry to the telecom market, Vodafone, Idea and Airtel have learned the true purpose of ‘Unlimited’. So after this incumbent networks offering unlimited packs to take on Reliance Jio, Aircel is next to take the stage with ‘unlimited’ offers. Aircel has launched RC18 and RC249 to offers unlimited calls to any number in the country with the best value proposition. RC18 offers customers with Unlimited Local and STD calling across all networks with a validity of one day. 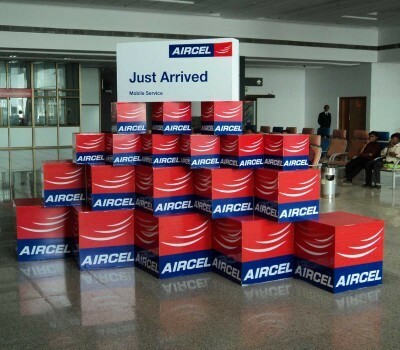 Customers will enjoy unlimited calls from Aircel to Aircel (Local & STD) and Aircel to Others (Local & STD) and stay seamlessly connected. RC249 is a unique product offering the benefits of Unlimited calling and Unlimited data with a validity of 28 days. Customers will enjoy Unlimited calls (Local & STD) across all networks, 500MB of 3G data and Unlimited 2G data usage. Additionally, 4G handset users will enjoy extra 1.5GB 3G data. This is by far one of the most valued voice and data proposition in the industry. Aircel recently launched an unlimited calling and data usage packs in Karnataka, read the details here.